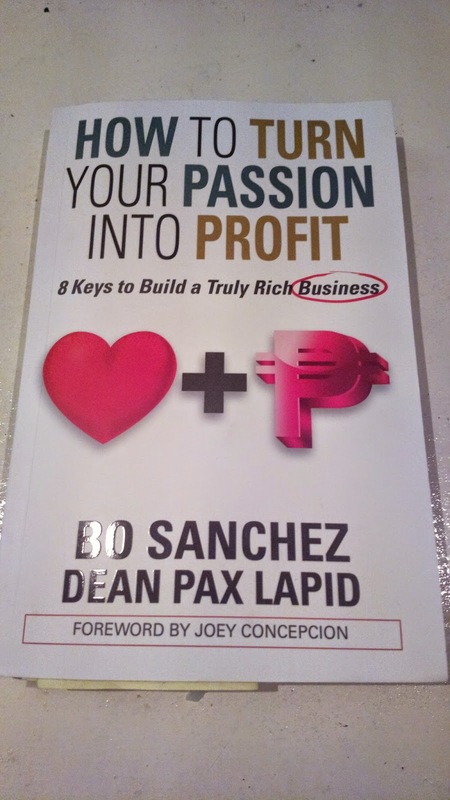 Despite being busy with the possibility that I may not be able to finish or even read the book, I still grabbed a copy of How to Turn Your Passion into Profit (8 Keys to Build a Truly Rich Business) by Bo Sanchez and Dean Pax Lapid when the title alone captured my attention at a National Book Store branch. Even if the title sounded generic, the book actually presented specific insights that can help build your business or make it grow. Let me summarize the valuable pointers through this feature. An added bonus section is to rely upon heaven’s grace. This is what makes the book different than other literature of the same theme. The authors are known for their faith in God and incorporate this into their teaching, yes, even for business. The Truly Rich Business, Bo Sanchez’ ministry teaches Biblical principles that are still applicable for work and business believe that becoming truly rich is not just in terms of money but in terms of spiritual growth as well. Dean Pax’ section is more technical in nature but will be very useful with know-how’s needed for any business. Bo Sanchez’s part on the other hand sometimes contradicts that of Dean Lapid’s but is more practical when applied. One such contradiction is on laziness. Dean Pax had reiterated several times that being lazy is detrimental to business plans. Bro. Bo on the other hand discussed how being lazy is more beneficial sometimes because you learn to duplicate yourself or delegate some of your work to your team in order to accomplish more because you allow yourself to spend time on the thinking (or conceptualizing) while others make it happen physically or otherwise. Both authors have agreed upon the importance of scarcity at least. Experiencing this often makes the best out of anyone, business in particular. Without adding any more spoilers, I suggest you grab a copy of How to Turn Your Passion into Profit (8 Keys to Build a Truly Rich Business) by Bo Sanchez and Dean Pax Lapid instead in order to learn the valuable lessons available in the book. Like this post? Like us on Facebook, www.facebook.com/blogphnet.